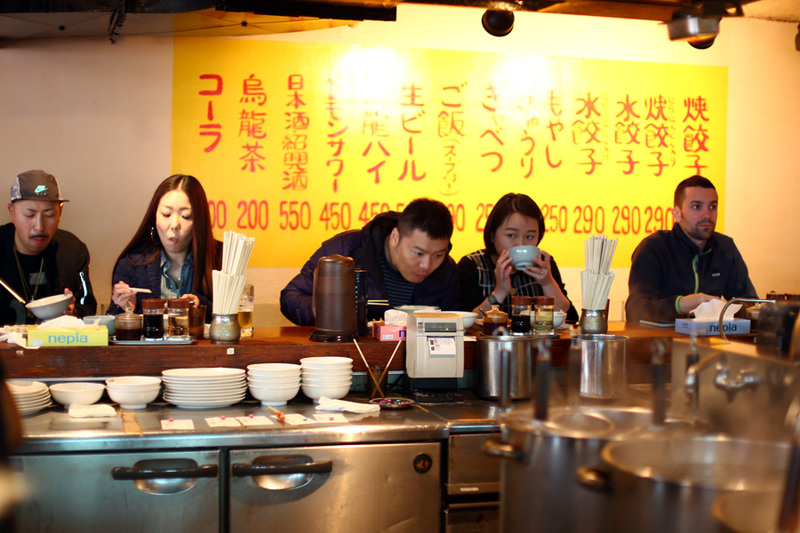 [Tokyo] Luck shone on me as I waited only slightly less than 10 minutes to get into Harajuku Gyozaro (or Harajuku Gyoza Lou), probably one of Tokyo’s best gyoza eateries. Actually, there wasn’t really anyone to control the line that was it, so we were a group of confused tourists just crowding near the door. We entered. No frills at all. 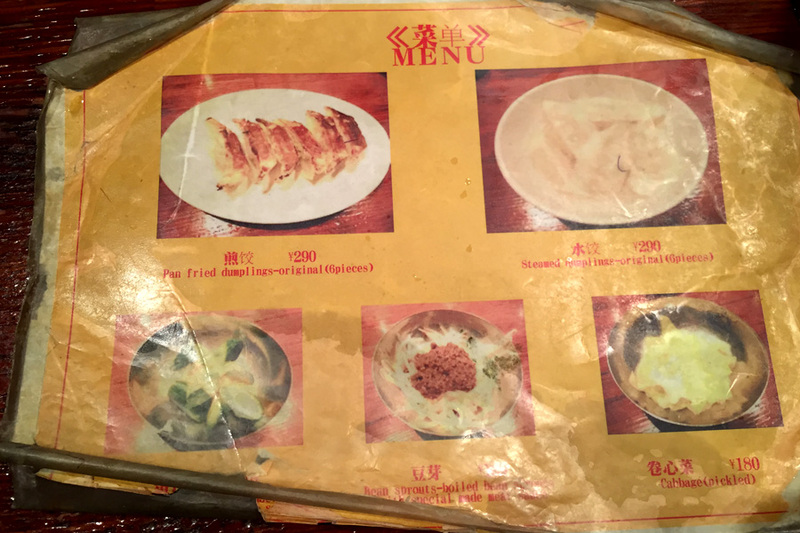 The server passed a tattered piece of menu, and the choice was really that simple. 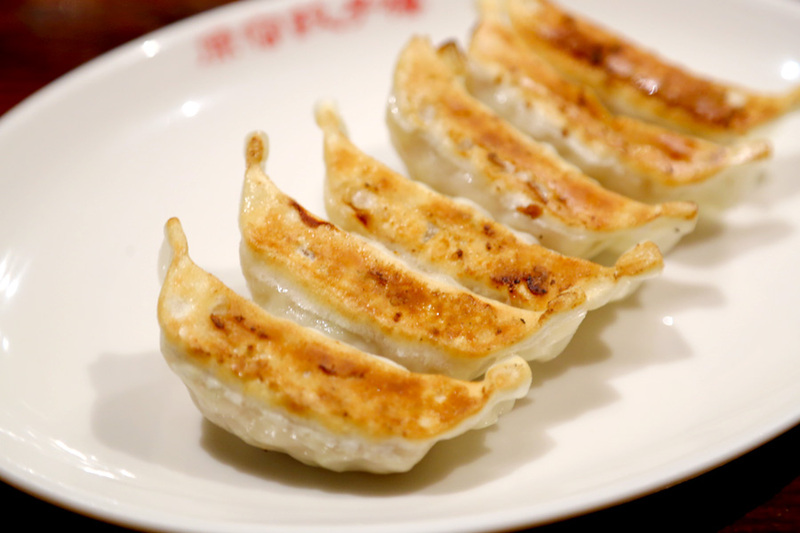 There are just two styles of gyoza dumplings available – Fried or Steamed, at 290 Yen for six of them. 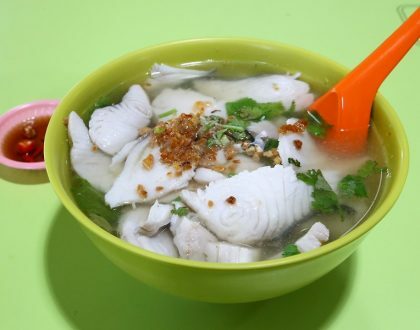 That works out to be SGD3.60 or USD2.70. 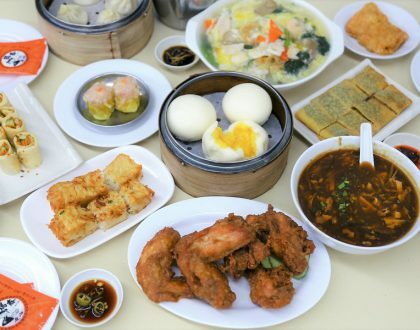 Most of the diners sat around the rectangular-shaped counter with the ‘kitchen’ in the middle, where the cooks would prepare the dumplings in clock-work fashion – fry, steam, pan-fried, scoop, serve. I didn’t notice any timers (maybe I missed it), how did they get the timing accurate? Maybe it is experience. The moment of truth as I shoved the first into my mouth, sans the sauces. Best to eat these babies original. 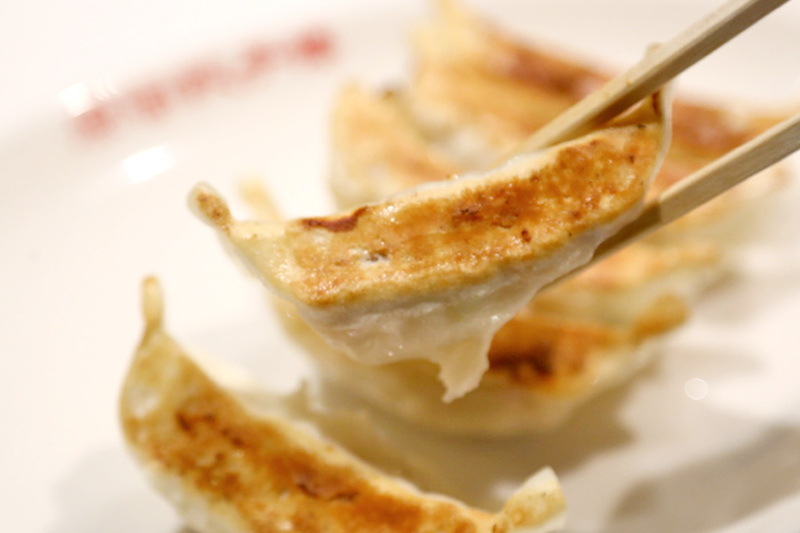 The Gyozas were fantastic – delightfully thin and just a thin layer of crisp. 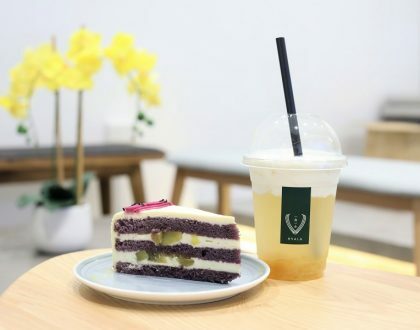 As you bite your way through, the juice from the pork fillings would burst in your mouth, savoury-sweet and fresh. So good you won’t even need any additional sauces to complement. In another trip, I had the Steamed version, and thought they couldn’t be missed as well. The slippery skins worked with the moist fillings. Add a dash of vinegar with soy and chilli oil for those added flavours. Are these the best around? I am not quite sure. Are these delicious? Certainly, yes, very. 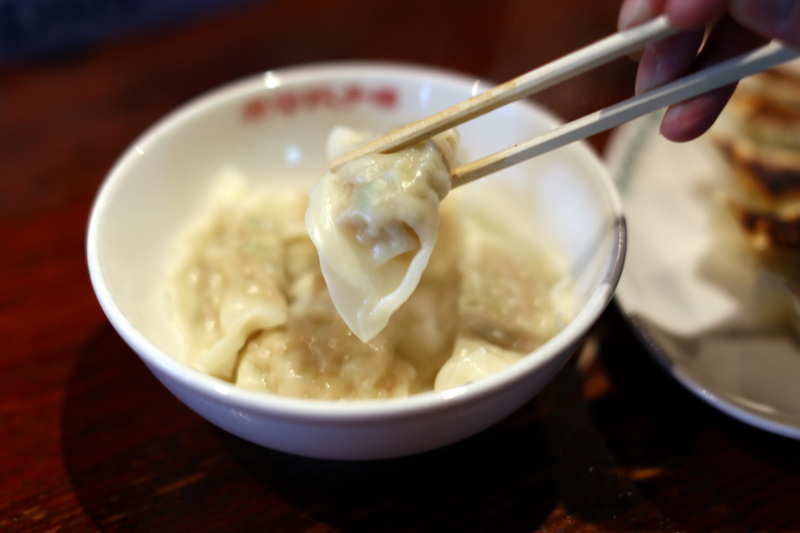 I wished the gyozas were plumper though, but that is personal preference. 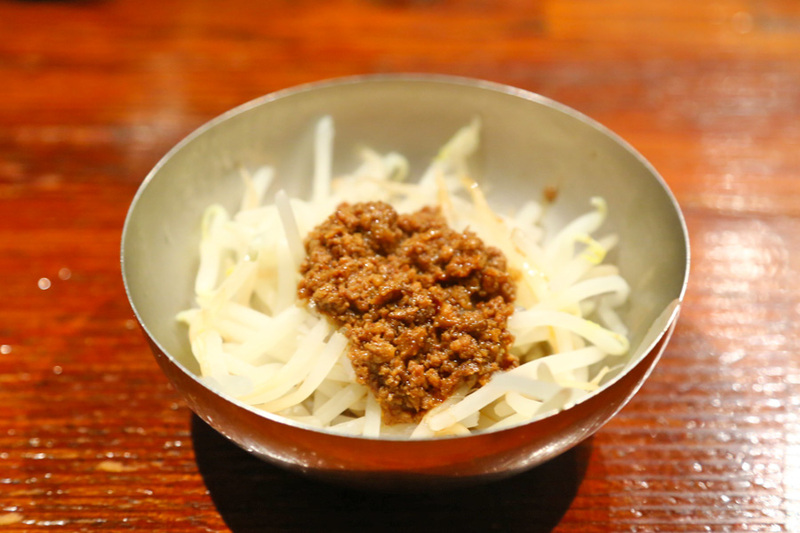 The Beansprouts (250 Yen, SGD$3.10) are another to-order. With a special meat sauce, this was like jajangmyeon / zha jiang mian without the noodles, and made a light refreshing starter with beansprouts. Hi, i will be going Tokyo this weekend. Can i know how long it takes to work to the train station? Hi Pauline (I got this from another blog), Take the Tokyo Metro (Chiyoda or Futokoshin lines) to Meijijingumae Station. 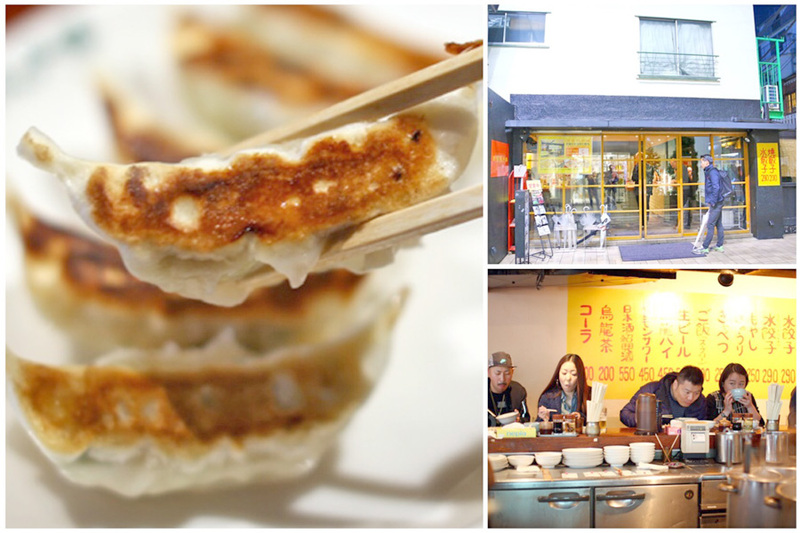 Harajuku Gyoza Lou is about a 5-10 minute walk away. Take Exit 4, walk across Meiji Dori along Route 413 and turn right at the alley just before you reach Kiddy Land. Walk down the alley until you reach an intersection, and the restaurant will be at the corner on your right. Hmm, I wasn’t that impressed with this place. Gyoza were good, but not somewhere I would ever return to. 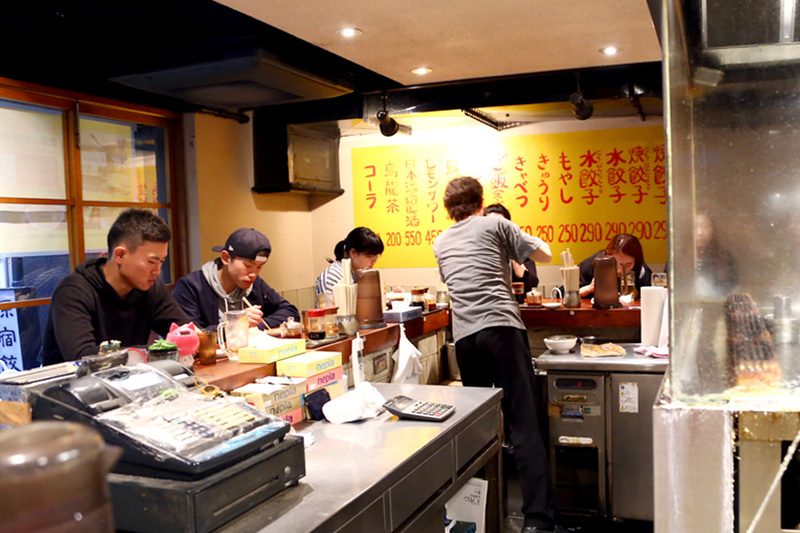 Hands down, the best gyoza in Tokyo are at Kameido Gyoza. 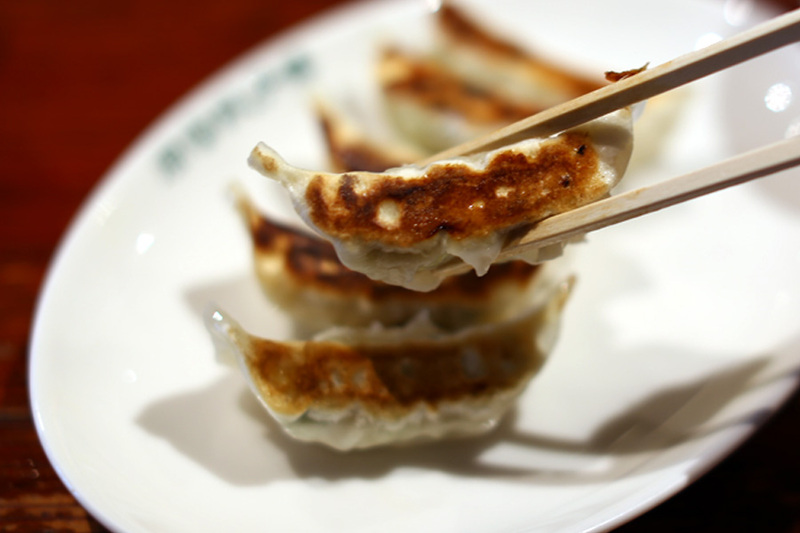 There is a very good reason that gyoza are the ONLY thing (besides drinks)that are sold there.